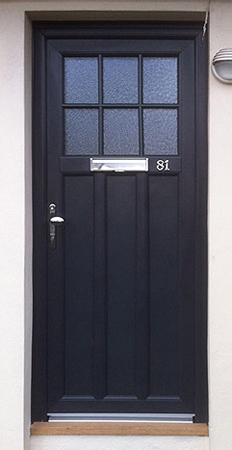 There is a huge choice of doors styles and colours. It starts with the conventional PVCU door with or without midrail. You might choose glass top and bottom or a panel at the bottom - letter plate - knocker - spyhole, they are all there for you to choose.